Finola O’Carroll, Blackfriary Archaeology Field School. Project Director. Finola O’Carroll MA MIAI is co-founder and director of Trim Archaeology Projects which manages the Blackfriary Archaeology Field School. Finola holds an honours B.A. in Archaeology and History (1982) and an M.A. in Archaeology (1986) from U.C.D. She has many years’ experience working as a professional archaeologist, covering a wide range of research projects and commercial work. She began her career working with Professor George Eogan on the excavations at Knowth, Co. Meath – part of the World Heritage Site of Brú na Bóinne. She worked in number of research projects, before co-founding an independent archaeological consultancy with Dr. Stephen Mandal, CRDS Ltd. She has acted as Senior Archaeologist responsible for archaeological works on many major infrastructural projects, including the N2 in Co. Meath. 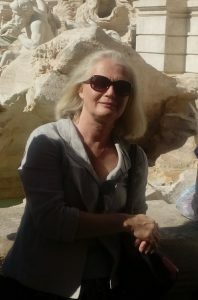 Finola is a full member of the Institute of Archaeologists of Ireland and was a board member from 2006 – 2009; elected Chair in 2009 – 2012. She is the archaeological director of research/teaching excavations at Blackfriary, Trim, Co Meath; these excavations form part of a site preservation programme supported by the AIA and the National Monuments Service of the Irish Government, and the Blackfriary community, heritage and archaeology project (BCHAP), supported by Trim Town Council and Meath County Council. She has published on topics ranging from Bronze Age hoards, Iron Age artefacts, and the excavations she directed at the medieval field system adjacent to Bremore Castle, Co. Dublin. Her most recent publication is on the research to date at the Blackfriary and will be published in 2018 as part of a volume on Monastic Europe. Dr.Rachel Scott, De Paul University Chicago. Project Bioarchaeologist. Dr. Rachel E. Scott is an Assistant Professor in the Department of Anthropology at DePaul University in Chicago. She has a Ph.D. in Anthropology from the University of Pennsylvania, a Higher Diploma in Celtic Archaeology from University College Dublin, Ireland, and a B.A. in Anthropology from the University of Chicago. Dr. Scott specializes in the bioarchaeology of early and late medieval Ireland. Her research integrates human skeletal, archaeological, and historical data in order to investigate aspects of medieval Irish society, including mortuary practices, illness and systems of healing, and gender roles. In addition to conducting archaeological fieldwork in Ireland, Dr. Scott has participated in excavations at prehistoric and historic sites in Iceland, France, and Spain. 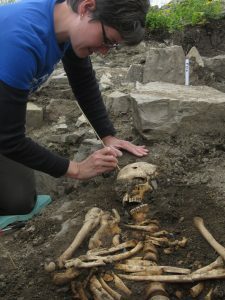 As the project bioarchaeologist for the Blackfriary Archaeology Field School, she directs the excavation and analysis of the human skeletal remains found at the Black Friary. Professor Terry Barry is Emeritus Fellow in the Department of History, and Fellow of Trinity College, Dublin, where he specialized in teaching medieval archaeology until 2016. His research interests center on the settlement archaeology of Ireland, Britain and Western Europe in the Middle Ages, particularly its castles and defensive earthworks. 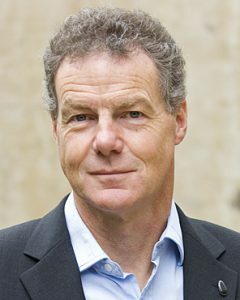 He is the author of many articles and books, including The Archaeology of Medieval Ireland (Digitally Reprinted in 2004 for Routledge), and in 2000 he edited A History of Settlement in Ireland, also for Routledge. He was recently Chair of the Discovery Programme; the archaeological research company funded through the Heritage Council, and was also a Council member of the Royal Society of Antiquaries of Ireland. He is also a Fellow of the Society of Antiquaries of London, and a Fellow of the Royal Historical Society. He is an Honorary Vice-President of the Royal Archaeological Institute. 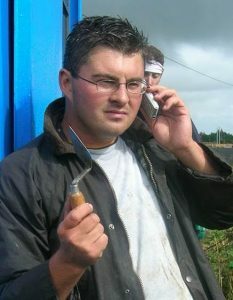 Dr Michael Potterton FSA MIAI is a Lecturer in the Department of History at Maynooth University. His core field of research is the history and archaeology of medieval Ireland, with special reference to landscape and settlement. He did his BA at UCD and in Lyon. 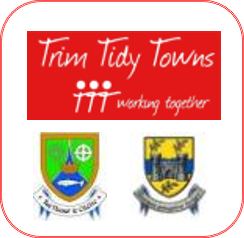 His NUI Maynooth PhD was on the archaeology and history of medieval Trim. Michael has an international reputation as an innovative researcher, a dynamic teacher and an accomplished writer. He has published eleven books (as author, co-author or co-editor), presented research around the world, and received several major scholarships. 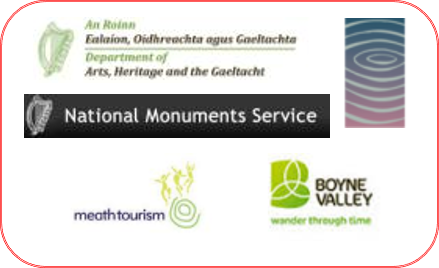 From 1996 to 1998 Michael was the Assistant Director on the research excavations at Moynagh Lough, Co. Meath, and he later worked for four seasons at the medieval castle site in Tulsk, Co. Roscommon. He worked for seven years as a Senior Research Archaeologist with the Discovery Programme and a further seven years as Editor with Four Courts Press, a multi-award-winning academic publisher. In 2011 he was elected a Fellow of the Society of Antiquaries of London in recognition of his ‘major contribution to the study of medieval Ireland through teaching on excavations and at universities in Ireland and abroad, and work as author and editor’. Professor Gabriel Cooney is Professor of Celtic Archaeology in the School of Archaeology, University College Dublin. His specialist area of archaeological research is the Neolithic period. He served as Head of School from 2008-11 and 2014-16. He is a member of the Royal Irish Academy and a Fellow of the Society of Antiquaries of London. 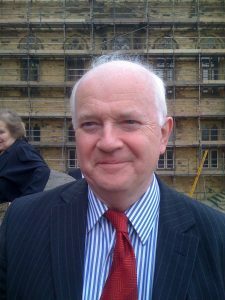 He served two terms (2005-15) as a member of the Heritage Council and is chair of the Historic Monuments Council of Northern Ireland. He is a member of ICOMOS Ireland and an Expert Member of the International Committee on Archaeological Heritage Management, ICOMOS. Professor Cooney is currently writing a book on death and the ancestors in prehistoric Ireland. He has a long-term research focus on stone axes, he discovered and excavated a Neolithic stone axe quarry site on Lambay island off the coast of Dublin and is currently leading a project investigating a Neolithic stone quarry complex at North Roe, Shetland, Scotland.